The Intense Spider Alloy Foundation is versatile trail bike that excels on the uphills and is best suited to less aggressive riders and lower speeds. The Spider Alloy Foundation is Intense's most affordable trail bike at a retail price of only $2,199. Boasting a solid build specification for the price, testers found the Spider Alloy to be a versatile trail bike best suited to less aggressive riding styles. Tester's were a little underwhelmed by this bike's downhill performance where it has a twitchy and less confidence inspiring feel, especially at higher speeds. A nice suspension package in the form of a Rock Shox Revelation fork and a Rock Shox Monarch RL rear shock help smooth the trail in front of you, but this bike isn't interested in brawling on the descents. Instead, it prefers lower speeds and the playful line. The Spider's steeper seat tube angle and shorter reach and wheelbase give this bike animble and energetic climbing demeanor. If you're a rider who values a bike that can climb well and prefers moderate speeds on the descents then the Spider Alloy could be a good fit. The on-trail performance of the Spider Alloy is a bit of a mixed bag, good at low and moderate speeds, nervous and twitchy at higher speeds and steep terrain. Intense has made a good budget-conscious trail bike in the Spider Alloy. Whether or not you should buy it, however, depends on your riding style and ambitions as a mountain biker. It is especially capable on the uphills, with an upright climbing position, and a short reach that handles sharp turns and technical sections of trail well. Overall, the bike feels on the smaller side, with a shorter reach and wheelbase that give it lively and snappy downhill manners but it has a nervous and twitchy feel at speed. The majority of the build specification is solid, but testers felt the narrower rims and Maxxis Forekaster tires don't really do this bike any favors in the control department or help with its stability at speed. A simple upgrade of the tires dramatically improves this bike's all-around performance but costs you extra right off the bat. That said, if you're looking for an inspired climber, don't mind a short reach, and you prefer moderate speeds and seek the fun line on the downhill, then the Spider Alloy has got you covered. If you're an aggressive rider you may want to consider our Best Buy Award winner, the Giant Trance 3 2019. It costs a couple hundred dollars less and is ready to rumble with more aggressive geometry that inspires more confidence at speed and when the going gets steep and rough. A good component spec, most notably the wheels and tires, won't have you reaching for your wallet after your first ride either. If you're willing to spend just a couple hundred dollars more, our Editor's Choice Award winner, the Canyon Spectral AL 6.0 simply can't be touched from a price to performance ratio standpoint. With a modern progressive geometry and an unbeatable build specification for the price, the Spectral is in a league of its own for bikes that cost less than $2,500. The Spider Alloy is undoubtedly fun to ride, assuming your riding style agrees with this bike. It's not a brawler, nor does it cater to aggressive riding styles or terrain, but if your style is a little less fall-line and little more fun-line, then the Spider might be right up your alley. This bike's moderate travel, 140mm front and 130mm rear, and conservative middle of the road geometry give quick and precise handling both uphill and down but results in a noticeable reduction of stability at speed. If high speeds aren't your thing, then this bike's climbing prowess and playful attitude may have you grinning ear to ear at the end of your ride. If you ride within its limits, then the Spider Alloy can be a blast. The Spider Alloy is an easy going and playful bike to ride downhill. This bike prefers lower to medium speeds and feels eager to pop off trail obstacles and side hits. As speeds increase, this bike's shorter wheelbase and reach become apparent and result in a twitchy and unstable feel. Combine the short reach with a head tube angle that feels steeper than the measured 66.2 degrees, and the Spider isn't exactly the most confidence inspiring when the going gets steep or super rough. That said, if you prefer moderate speeds and somewhat mellower trails, then this is a lively and fun bike to ride. Testers quickly found the limits of the Spider Alloy on the descents. Like most mountain bikes, the Spider's downhill performance is heavily dependent on its geometry. The measured head tube angle of 66.2 degrees is respectable and suits the way this bike handles and the speeds it likes to be ridden. As speeds increase or the terrain gets steep and rough, the front end starts to feel nervous and uncertain, and the head tube feels steeper than it actually is. This bike also has a moderate length wheelbase of 1180 mm, and a reach that feels much shorter than the measured 455mm. Testers complained of feeling somewhat cramped on top of this bike, so it stands to reason that it feels less stable than the longer bikes in our test. On the flip side, this bike is quite easy to maneuver, especially at lower speeds and in tight turns and terrain, as a result. This bike feels small and light underneath you, giving it a playful attitude at lower speeds. The suspension spec'd on the Spider Alloy works reasonably well, but to be honest we expected it feel a little better. The 140mm RockShox Revelation fork is plush in its travel on bigger hits, and its beefy stanchions give the front of the bike a sturdy feel. The VPP design of the rear suspension surprised us with how active it felt. Overall, it felt balanced with the front suspension, especially on bigger hits. Testers found the suspension on the Spider to perform somewhat inconsistently, however, at times it felt great and other times not so much. High-speed chatter is one of those times, as the suspension struggles to keep up with the frequency of rapid compressions. The Spider Alloy has a speed limit that was easily reached. Other than the geometry, one of the main things that testers feel prevents them from getting aggressive on the descents is the tires that come on the Spider. Don't get us wrong, we love Maxxis tires, especially when they have robust EXO casings, but the Forekaster is more appropriate on an XC bike than a trail bike in our opinion. These tires roll fast and work well on hardpack, but their round profile and less aggressive tread left us wanting most of the time. The tires did not inspire confidence in loose conditions or when tipped on edge in corners. At one point we swapped the front tire out for a 2.35" Schwalbe Hans Dampf which worked better and provided more predictable cornering grip. We think that immediately swapping these tires out for something with a more aggressive tread would improve this bike's downhill performance immensely. One of the Spider Alloy's best attributes is its uphill performance. With a bit of an XC feeling geometry, it came as no surprise to our testers that this trail bike climbs well. It also has a light feel, despite weighing in at 30 lbs 13 oz, and feels almost eager to propel you uphill. This bike's short reach and moderate wheelbase make for a tight turn radius that excels in tight uphill corners and technical sections of trail. The steeper seat tube angle puts the rider in a comfortable climbing position almost directly above the bottom bracket that helps to maximize power transfer and efficiency. The only other bike in our test that climbs better is the Giant Stance 1 which weighs significantly less. It feels very efficient, but some testers felt cramped on the Spider, with their knees coming close to the handlebars while climbing. The Spider is equipped with a RockShox Monarch RL rear shock mounted to their VPP rear suspension. This VPP design functions well on the uphills, and testers were impressed with its efficiency in climbing situations. With the shock in the open position there was very little suspension bob when seated and climbing, and surprisingly little when climbing out of the saddle. The RockShox Monarch RL shock has only 2 settings, fully open or locked out. Testers felt this was just fine, as the bike climbed well on trail in the open setting and reserved the lockout for extended periods of riding on pavement. The Spider Alloy climbs well, seated or out the saddle. As mentioned previously, the reach of the Spider feels short, especially by today's longer-is-better geometry standards. Some testers felt a little cramped on this bike, even while climbing, and complained of their knees being very close to the handlebars during tight uphill turns or when out of the saddle. The geometry of this bike definitely caters to the rider who prefers a shorter reach, while those who like to stretch out a little may feel claustrophobic. The SRAM 1x11 speed drivetrain works well and offers a good range, but the 30 tooth chainring and 11-42 tooth cassette may leave less skilled or less powerful riders searching for more gears on some climbs. For the price, the Spider Alloy and its Foundation build is pretty good. Intense did well when selecting the parts for this bike while still keeping the price reasonable. There's little to complain about on this bike, but the few gripes we do have actually play a pretty big role in the way this bike performs on the trail. We'll start with all the things we like about the build, of which there are many. In general, the build of the Spider is pretty good, but we would immediately swap out the tires for something with a more aggressive tread like the Schwalbe Hans Dampf pictured on the front of the bike here. The suspension on the Spider Alloy is good with a 140mm RockShox Revelation fork and a RockShox Monarch RL shock handling the 130mm of travel in the rear. For the price, it's nice to see a beefier Revelation fork, and the Monarch is generally a trustworthy rear shock. The cockpit of the Spider isn't bad either. The short 45mm stem is paired with a 760mm wide handlebar and provides responsive steering. 760mm is slightly narrower than the 780-800mm bars that are spec'd on most bikes these days, but it still feels wide enough. The 150mm X-fusion Manic dropper seat post is also a nice touch, especially with an ergonomic 1x style remote lever that is user-friendly and keeps the bar setup clean. The cockpit is pretty good, the dropper and 1x style remote are nice, though the 760mm handlebar is a touch on the narrow side these days. Overall, testers found the drivetrain to work relatively flawlessly throughout our testing. The SRAM 1x11 drivetrain consists of mostly NX parts with a GX derailleur. Shifting was crisp and precise, although the range is somewhat limited with the 30 tooth chainring paired with an 11-42 tooth cassette. The Shimano BL M506 hydraulic disc brakes work better than we expected, and the spec of short throw levers is a nice touch that our testers preferred over the long throw versions found on many other bikes in this price range. No complaints about the 11-speed drivetrain on the Spider. Our least favorite aspect of the build on the Spider is the wheels and tires. The wheels themselves aren't terrible, but the Race Face AR 24 wheelset has an internal rim width of 24mm, which is bordering on narrow in this day in age. Mounted to those narrower rims are a set of Maxxis Forekaster 2.35" tires with a rounded profile and non-aggressive tread. Testers found this wheel and tire combination to roll fast and perform well on hardpack, but far from confidence inspiring in loose or rocky conditions, or when attempting to rail corners at speed. Tester felt the Maxxis Forekaster tires really held this bike back. With a retail price of $2,199, we feel the Spider Alloy is a good value for the right consumer. This bike has a pretty good build for the price and a performance that is well suited to playful riders and low to moderate speeds. Aggressive trail riders need not apply, but those with an affinity for climbing who prefer moderate speeds and like a lively and responsive ride may really enjoy the Spider Alloy, especially at this price. Intense makes several versions of the Spider, all of which have carbon frames other than the Spider Alloy Foundation reviewed here. There are five other models of the Spider that have the exact same geometry and come in a variety of builds ranging from the top of the line Spider Factory ($7,999), Spider Elite ($5,999), Spider Pro ($4,999), Spider Expert ($3,999), and the Spider Foundation ($2,999). Lower speeds and mellower terrain are where the Spider is at its best. The Spider Alloy Foundation is definitely not for everyone, but if you're the rider who's looking for a bike that climbs well and offers a quick handling and playful ride at medium to low speeds then it could be for you. This bike has a relatively solid build for the price, and a simple upgrade of the tires will take its performance to another level. 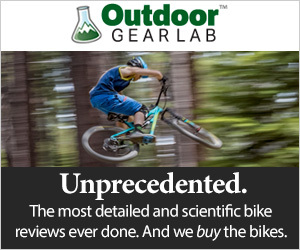 Riders seeking an aggressive trail bike will be better off looking elsewhere, but if your riding style is on the mellower end of the spectrum, then this bike can take you there and back, and at a reasonable price.